Va. Gov. Terry McAuliffe hoped he would be remembered for transforming transportation, adding dozens of miles of express lanes in Northern Virginia. News4's Julie Carey reports. Virginia Gov. 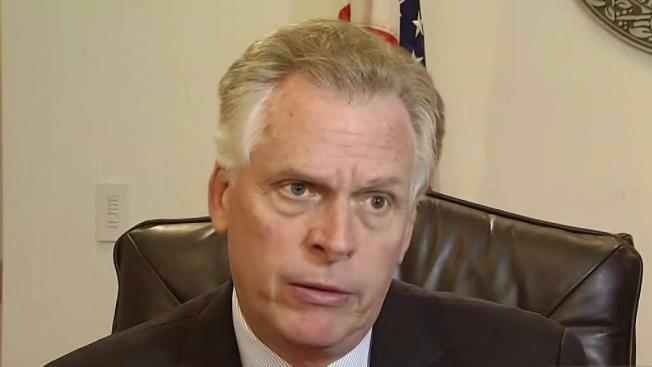 Terry McAuliffe has just six weeks left in his term, but he is staying very busy with the upcoming final state budget. His twin goals of creating new businesses and new roads were his targets when he took office four years ago. He hoped he would be remembered for transforming transportation, adding dozens of miles of express lanes in Northern Virginia. He was also proud of the expansion of economic development in Virginia with the growth of craft breweries to luring corporate giants, like Nestle. McAuliffe said his best and most memorable day was April 22, 2016, when he signed an executive order restoring voting rights to tens of thousands of felons who'd serve their time. He said his darkest day as governor came in August in Charlottesville when a white supremacists rally lead to violence and death. He remembered learning just before speaking on that day that two state troopers there had died in a chopper crash. His term will end on a high note as he helped Democrats sweep statewide office and flip 15 House of Delegates seats. Governing magazine recognized his work at the chief executive, making McAuliffe the Public Official of the Year.